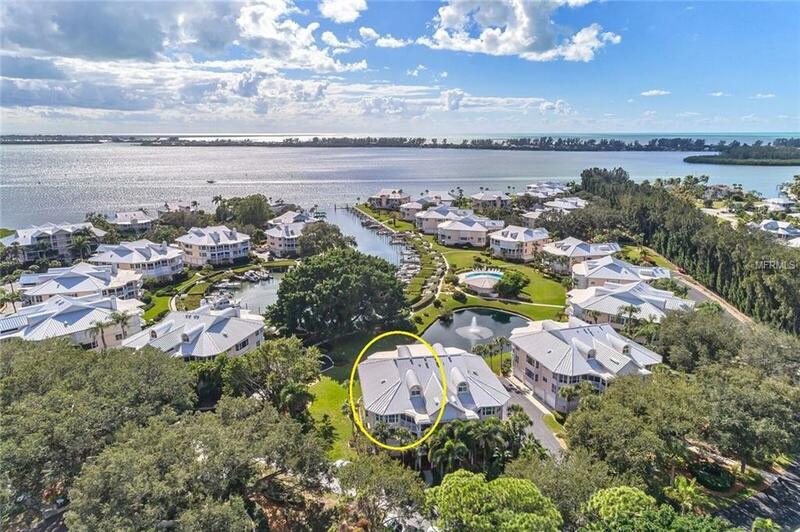 Exquisitely refinished and nestled in peace and safety beside the crown jewel tree at Placida Harbour Club, this home sparkles with refinement. Just off the Intracoastal Waterway with the Gulf of Mexico beyond, here one can relax and enjoy bird and manatee-watching from the spacious, sunny lanai or hop down the rear stairs to the pool, beach-ferry or any of the 5-star Club activities, since this homes 2017 remodel has done the rest. Special dark naturally-aged hickory wood floors in the main living areas and Calacutta and Carrara Marble floors in baths make life grand. A special insulation membrane then makes it soft and quiet. And 2017 Thermopane impact windows cap it off with calm amidst sun or rain. Sun or shade is your choice with Plantation Shutters throughout, even in the upstairs bedroom and den. Cooking will be a pleasure on Chateau River granite counters and 2017 stainless appliances. In total, its a masterpiece that you alone can own. Simply the largest model available on the harbor in Placida Harbour Club; a gated, guarded community where one has it all: Marina with deep dockage and walking path right off the Intracoastal, private hourly ferry to the deeded beach on the Gulf of Mexico, 3 heated pools, 3 clubhouses, tennis, pickle ball, fitness, saunas, spa, planned activities and more. Ready to relax and enjoy the finest? Call for your private showing today.